As more people are starting to realize the impact of non-renewable resources on the environment and becoming frustrated over the high cost of electricity, they are considering forms of alternative energy, such as solar power. Solar energy (solar power) is energy from the sun that is converted into either electrical or thermal energy. Unlike fossil fuels, such as petroleum, solar energy is eco-friendly, abundant and natural. In order to utilize the powerful energy that is derived from the sun, commercial, government and utility building owners must implement dependable solar power systems. 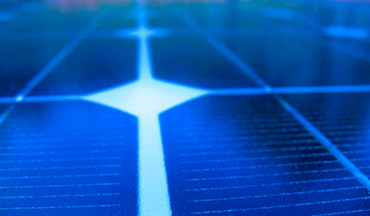 Solar power systems are used to produce energy and electricity for buildings of all sizes. Solar energy systems utilize photovoltaic (PV) solar panels to gather energy from the sun. Solar panels are made from silicon, a natural element, which is electrically charged when it is placed in sunlight. In order for a solar power system to be effective, solar panels must be directed at solar south in the northern hemisphere and solar north in the southern hemisphere. When solar power systems are installed properly, people benefit from reduced or eliminated electric bills and establish an eco-friendly presence. Installing large-scale commercial solar power systems is not an easy task. For businesses to get the best results from their solar electric systems, they will want to hire a reputable solar power company, like Avatar Solar. The challenge with solar power systems is efficiency. While there is more than enough direct sunlight hitting the earth to meet the energy demands of the entire world, harnessing sunlight with photovoltaic solar panels can be difficult because the sun is not always readily available. The position of the sun changes with seasons and, in some regions, weather conditions block sunlight. Both of these scenarios create problems with power transfer, which is why people usually find it advantageous to work with a company that specializes in implementing optimal solar energy systems. At Avatar Solar, we design, finance, implement and maintain custom solar power systems that produce dependable, long-term energy for commercial clients. Our company is a forerunner in the solar power industry that has over 10 years of experience in the field of solar energy. At Avatar Solar, our team of licensed and bonded electrical contractors and engineers work with our customers to create solar power systems that are uniquely tailored to their businesses’ needs. With our reliable services and turn-key solutions, customers receive great return on investment by using natural power from the sun. Set up a solar power system consultation for your commercial space.